Recently we reported about the accidental release of the launching schedule of the upcoming Google Pixel 3 smartphone, which is expected to unveiled on 4 October, this year (here). Now today UX manager for Android handheld and Pixel at Google, EK Chung, has revealed that the next-generation Pixel 3 series smartphone will make use of the new gesture-based navigation. He also shared some interesting details about the design philosophy and principles behind Android Pie ahead of its public launch. According to EK Chung the upcoming Pixel 3 lineup will feature gesture navigation, and there will be no option to use the standard on-screen button, but its now unclear to say whether the on-screen navigation system will still be accessible via the Settings menu or the Google will completely remove it. Chung has quoted that "While Pixel devices that are updated from Oreo will still see their three-button navigation by default with an option to switch to gestures, future Google phones (and any other manufacturer that wants it) will ship with only gesture navigation" . Mean while Chung has confirmed that older Pixel smartphones will continue to use the on-screen button system as default. He further revealed that with the new Android 9 Pie, Google has taken the first step towards gesture-based navigation which was earlier debuted in Apple iPhone X. However, Google is not imposing the gesture navigation features on all manufacturers, but they will have the option to adopt the new gesture navigation feature or continue with the traditional three-button setup, or even offer their own navigation method. According to EK there were four core principle to Pie's development such as subtract, combine, prioritize and clarify. He also stated that with Pie, Google wanted to make the system more approachable and desirable to everyone. Recent reports have revealed that Pixel 3 may feature a 5.4-inch display with a notch less design and aspect ratio of 18:9, like the Pixel 2 XL from last year, while the Pixel 3 XL is having a notched display design and it is speculated to feature a 6.2 inch display with aspect ratio of 19:9. 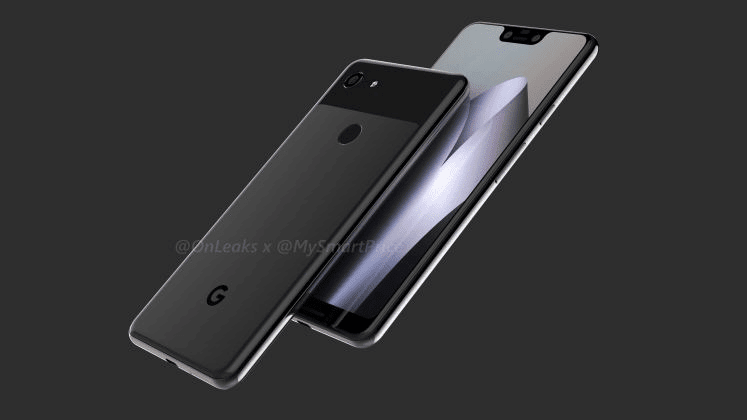 From the Geekbench listing the Google Pixel 3 XL would be powered by Qualcomm Snapdragon 845 processor coupled with 4GB RAM and 64/128 GB internal storage. Hi ,this is Arun the Founder and Editor in Chief at Techconfigurations.com ,He is basically a tech enthusiast and love to spend time with tech gadgets, he is also interested in product design ,in his free time he loved to travel and watch sci fi and fantacy movies.